TANKED After four years of planning, Napa Smith Brewery is open - and actually encourages visitors to bring their own food. Fall has arrived, and the North Bay's beer explosion shows no sign of slowing down. 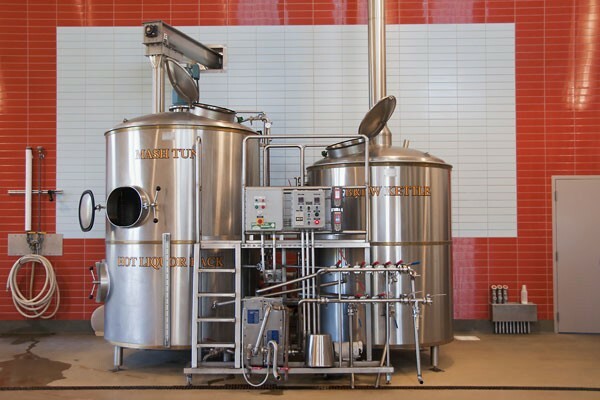 Warped Brewing Company, run by the folks from Occidental's Barley & Hops, has moved closer to the opening of a 10 bbl production brewery later this year in Sebastopol. They'll be serving up a lineup of four to five beers, in addition to Pliny and others. . . . Speaking of Sebastopol, Woodfour Brewing Company has plans to open a new brewery and "Sonoma-inspired bistro" in the Barlow development. Led by founder and CEO Seth Wood, Woodfour promises an artisan-brewing experience and "complex and elegant" beers. . . . HenHouse Brewing Co. out of Petaluma continues rising to the top with a glowing write-up in the San Francisco Chronicle focusing on the team's popular oyster stout. The upstart company reports to the Bohemian that it will be releasing a wet hop ESB in September, brewed with Marin-grown wet hops. Look for it at TAPS in Petaluma soon. Ruth McGowan's has been racking up awards lately, winning two gold awards, one silver, and one bronze at the California State Fair Beer Awards last July. 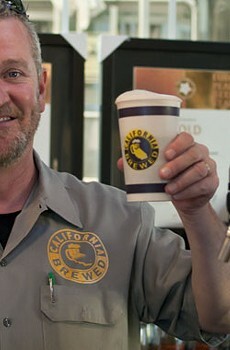 Decorated beers include the Cloverdale ale (American Amber Ale) and Floyd IPA (American IPA). Other North Bay breweries to win the gold include Sonoma Springs Brewing Company, Marin Brewing Company, Moylan's and Bear Republic. . . . Iron Springs Pub and Brewery, whose Kent Lake Kölsch won the bronze at the 2011 Great American Beer Festival, celebrates its eighth anniversary on Oct. 8. It'll be offering $2.50 pints, doing a dinner giveaway and offering complimentary appetizers all night. Does Iron Springs make birthday cakes flavored with beer? After four years of planning, Napa Smith Brewery has opened the doors to its onsite beer pub. It offers 10 beers on tap and actually encourages people to bring in their own food to go with the pilsner, IPA, barleywine and ales on tap. Make a hot dog at home and drink it with a Lost Dog American red ale at the pub. Napa Smith offers growlers for take-home as well. . . . In Windsor, Old Redwood Brewing Company welcomed its first guests last spring. Billed as Windsor's first nanobrewery, Old Redwood serves stouts and IPAs, and recently brewed up a batch of beer made with Sonoma County hops donated by the Windsor Historical Society. According to its Facebook page, a menu is in the works for a brewer's dinner on Nov. 2. . . . Novato has a reason to smile with the opening of a new Hopmonk Tavern in the former Southern Pacific Smokehouse building, set for November 2012. Expect the pub's signature beers plus live music. Up north, Hopmonk Sebastopol hosts a Shmaltz Brewer's Dinner on Sept. 30. Tickets are $65 and include a four-course meal paired with Shmaltz beers. October is for beer, so what better reason to check out one of the many Oktoberfest events running from Sept. 22–Oct. 7? Heritage Public House's celebration includes the release of Anderson Valley's latest concoction, El Steinber. Barley & Hops will offer a beer brewed in conjunction with Cloverdale's Ruth McGowan's, the cleverly named "Pimpsnhosenfest." . . . And look out suburban beer enthusiasts, there's a spanking new store in Rohnert Park! BeerCraft is a "Craft Beer Bottle Shop" that offers weekly specials with a focus on American craft beers. It's been described by one in-the-know beer expert as "really choice." Features Napa Smith Brewery Warped Brewing Company HenHouse Brewing Co. Woodfour Brewing Co. Old Redwood Brewing Co. Sonoma Springs Brewing Co.